If your child still needs their immunization shots, here is a clinic they can attend through Warren County Health District. The Warren County Health District will be holding a Saturday Immunization Clinic on August 26th. This clinic will offer the required immunizations for kindergarten, seventh grade, and 12th grade. Families should call the health district at 513-695-1468 to schedule an appointment. 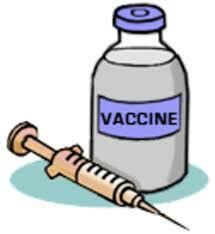 Immunization appointments are also available Monday through Friday throughout the year. Families can visit the website at www.wcchd.com for additional information.